So, I will simply share a brief account of our experience and some of our outdoor photos. 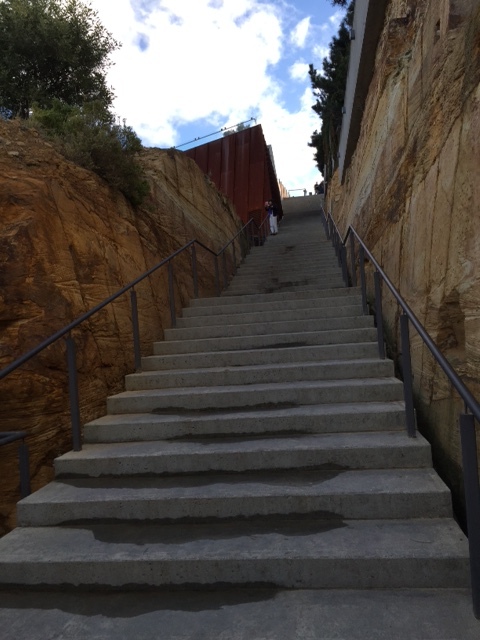 That is, once I have told you about my family’s close connection to MONA. Before the current owner purchased the property, it was a vineyard and winery. 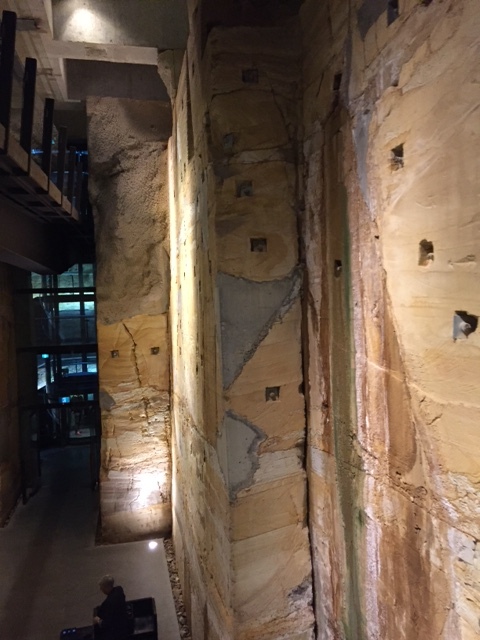 After the winery became firmly established, its owner commissioned a renowned architect to design a home for his family and a home for his mother. The architect was Roy Grounds, the youngest brother of my paternal grandfather. 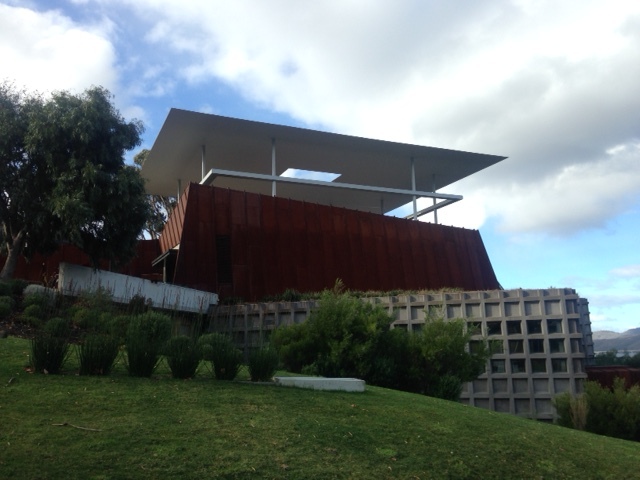 The main structure of MONA incorporates elements of the family home, notably the fireplace, while the mother’s home, known as The Round House, sits, unaltered, below MONA and functions as a private library. 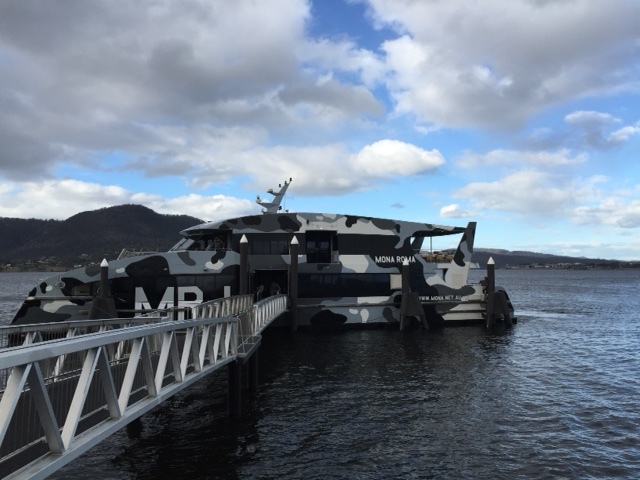 To reach MONA, most visitors use the museum’s own ferry service, which takes about 25 minutes to complete the journey up the Derwent River from its dock at Hobart. 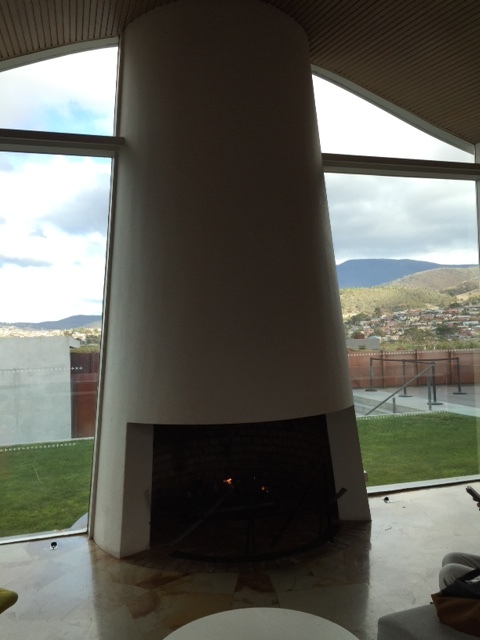 After you alight from the ferry, you have to climb 100 steps to the top of the hill on which MONA sits, and when you enter the museum you come upon the aforementioned fireplace. 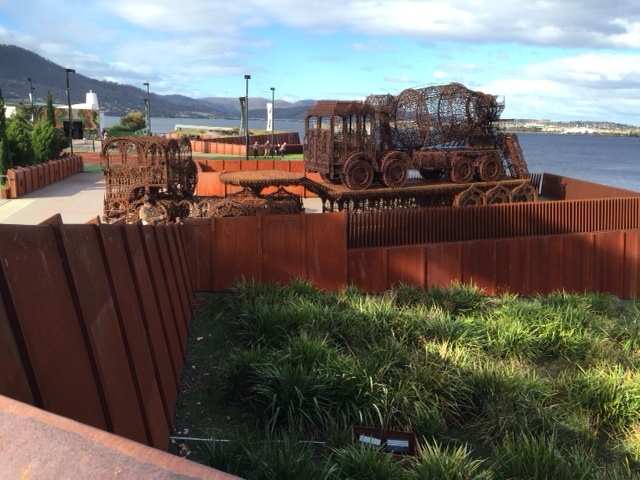 From the museum, we explored MONA’s vast outdoor spaces, which display artworks that are just as dramatic as those indoors. 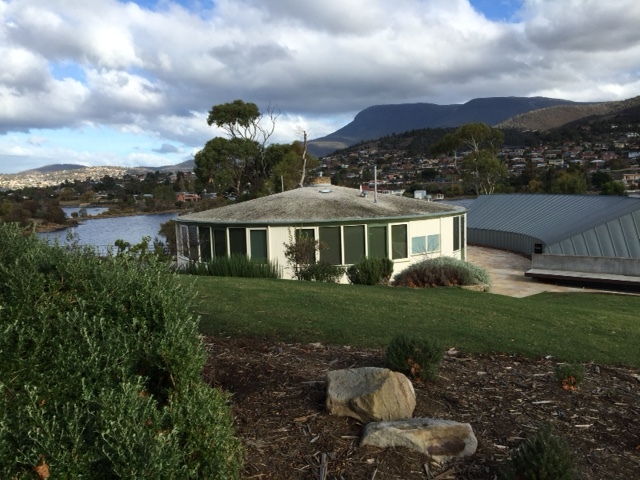 And, of course, we made our way to The Round House – something of a pilgrimage in my clan – before catching the MONA ferry back to the city, enjoying a glass of the still-working-winery’s excellent pinot noir on the way. 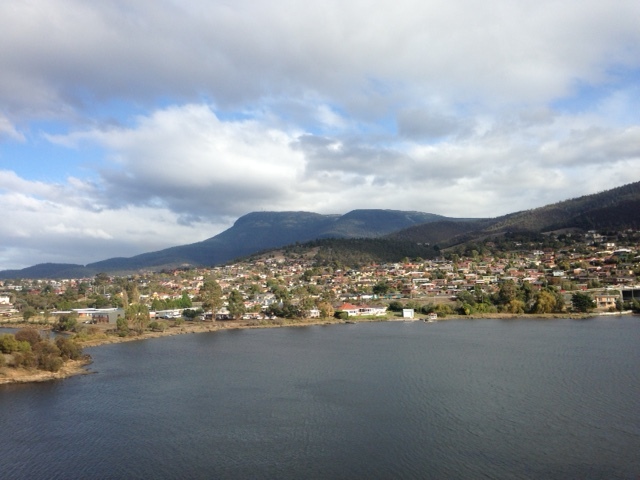 This entry was posted in Travel and tagged Hobart, MONA, Museum of Old & New Art. Bookmark the permalink.